The women from the band have garnered support across the globe, from musicians such as Sting, Madonna and Paul McCartney. But, polls in Russia show that not many people within the country agree or sympathize with the band members. The judge, Marina Syrova, declared that the women were guilty of hooliganism that was motivated by religious hatred. The judge also said that the band members offended Orthodox Russians when they stormed into a cathedral in Moscow to sing a song criticizing Putin. 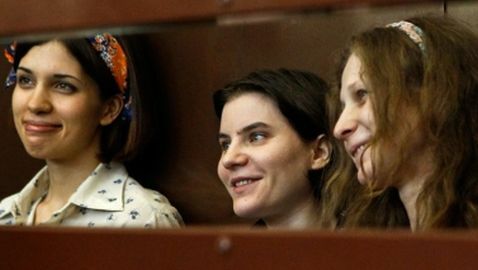 Nadezhda Tolokonnikova, 22, Marina Alyokhina, 24, and Yekaterina Samutsevich, 30 are the members of the band sentenced to jail. The song was sung at the Christ the Savior Cathedral in Moscow. They were wearing ski masks, shorts skirts and tights. While performing a concert in Moscow, Madonna had the band’s name painted on her back during the show. 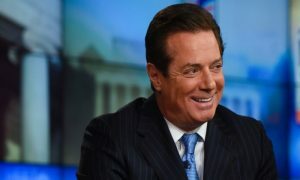 “As in most politically motivated cases, this court is not in line with the law, common sense or mercy,” Lyudmila Alexeyeva, a human right activist, said.